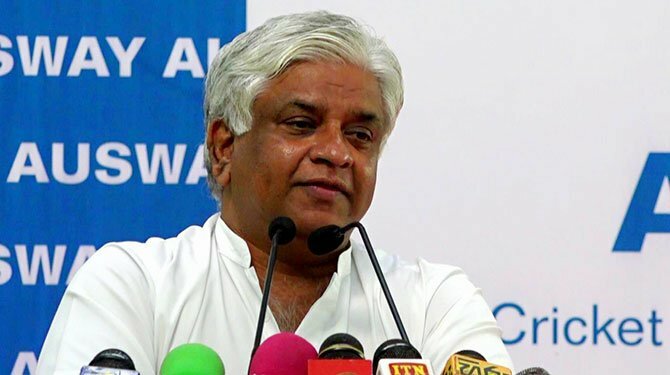 lanka C news | ගෝටාභයට ජනාධිපති අපේක්‍ෂක කම නොදෙන්න පොහොට්ටු හතුරන් කුමන්ත‍්‍රණයක.. පොහොට්ටුව අතහැර තනියෙන් තරග වදින්න සූදානම්..
ගෝටාභයට ජනාධිපති අපේක්‍ෂක කම නොදෙන්න පොහොට්ටු හතුරන් කුමන්ත‍්‍රණයක.. පොහොට්ටුව අතහැර තනියෙන් තරග වදින්න සූදානම්..
අද මුළු රටම ඉල්ලන්නේ හිටපු ආරක්‍ෂක ලේකම් ගෝටාභය රාජපක්‍ෂ බවත් කවුරු විශ්වාස නොකලත් මෙරට මහජනතාව එය විශ්වාස කරන බවත් ජාතික නිදහස් පෙරමුණේ නායක පාර්ලිමේන්තු මන්ත‍්‍රී විමල් වීරවංශ මහතා පවසයි. එම විශ්වාසයට පිටින් යන්න කිසිවෙකු හෝ සිතන්නේ නම් ඒ මෙම කදවුර පැරැුද්දවීමට කරන පාවාදීමක් යයිද මන්ත‍්‍රිවරයා කියා සිටී. ගෝටාභය රාජපක්‍ෂ මහතා ජනාධිපති වීමට විරුද්දව විධායක ජනාධිපති ධුරය අහෝසි කිරීමට ගෙන ඒමට සූදානම් වන යෝජනාවට තම කදවුරේ කිසිවෙකු හෝ පක්‍ෂ වීමට සූදානම් වන්නේ නම් පොහොට්ටු කදවුරේ දේශපාලනයට ආයුබෝවන් කීමට සූදානම් බවත් මන්ත‍්‍රීවරයා සදහන් කරයි. 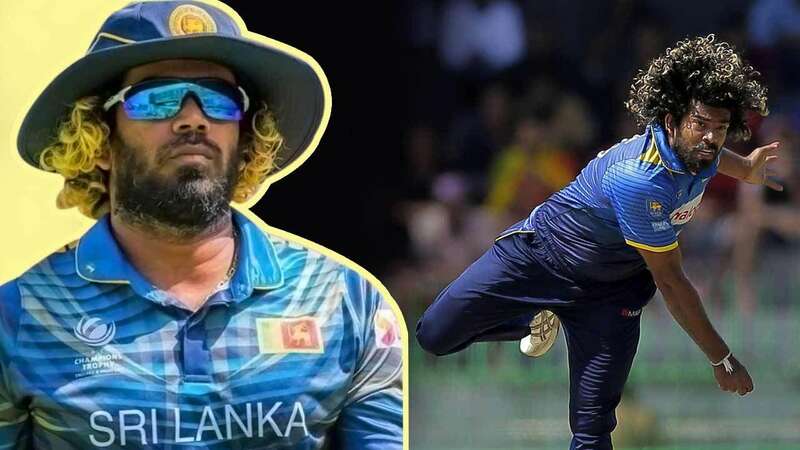 තම පක්‍ෂය පොහොට්ටුව අතහැර තනියන් තරග වදින්නට සූදානම් බවත් නමුත් ඒ තම කදවුරේ සිටින සතුරාට උවමනා වෙලාවට නොව තමන් තීරණය කරන මොමොතක යයිද ජානිපෙ නායකයා සදහන් කලේය. කට තිබුන පලියට නරිවාදං කෙළින්න එපා. ඔය කට නිසා තමයි JVP යෙනුත් එන්න උනේ. මහින්ද ගෝඨාභය එනවට බයයි. මොකද? ගෝඨා ජනාධිපති උනොත් පාලනය කරගන්න අමාරැයි. 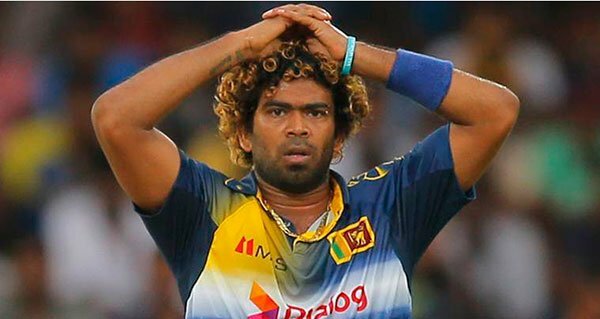 ඡන්ද තියෙන්නෙ මහින්දට මිසක් වෙන එවුන්ට නෙවි. විමල් තනියම ඉල්ලුවොත් ගෙදර. ගෝඨා “වියත් මග”,”එළිය” මොනව ගියත් මහින්දගෙ පිහිට නැත්නමි බඩුම තමයි. 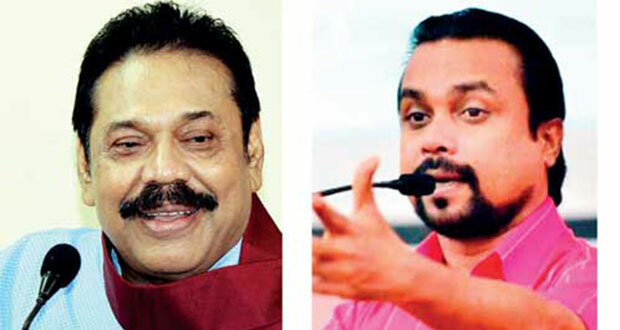 If Mahinda Rajapakse align with My3 and RW, to nullify Gotabhaya, that is the begining of the end of Mahinda. 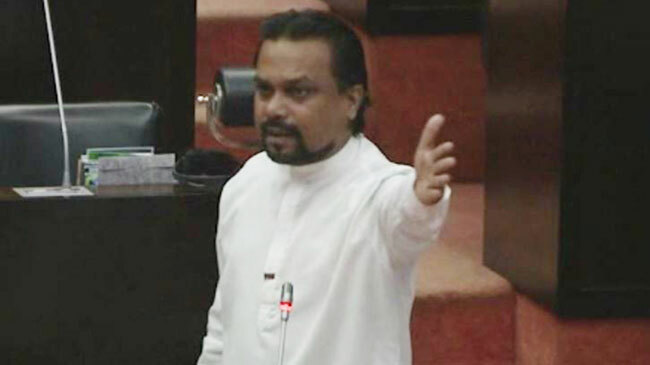 If Mahinda sponsers the resolution in Parliament, not only he will loose in style but also loose his credibility. Viyathmaga has gone so far reaching all professionals , academics including scholars. Karannagoda issue is last minute but after 4 1/2 year wait and see stunt. අනිවා. මිනිස්සුන්ට අවශ්‍ය කෙනා නොදී හොර දේශපාලුවන්ට අවශ්‍ය කෙනා දුන්නට වැඩක් නෑ. විමල් මැතිදුනි ජනපතිවරණයට තනියෙන් තරග වදින්න අනිවා දිනන්න පුලුවන්. Oh man!! This is end of Mahinda. People will help Gota….Keep the referendum for 20th amendment we will see. Sorry to say Mahinda, lost the support from Champika in his last election. This time Gamanpila and Wimal. 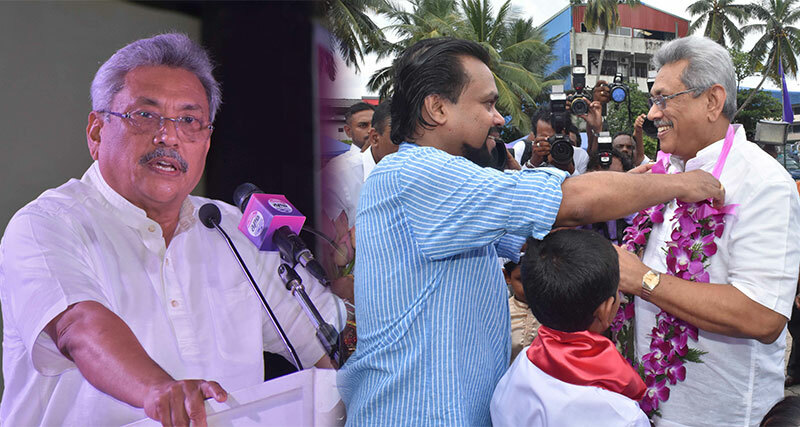 Ranil and the clang will win next election…. පලයං මුත්තෙ යන්න , උඹ දන්න බිජ්ජ !!. මහින්දට චන්ද තියෙන්නෙ ගෙදරින් ගෙනල්ලා නෙවෙ. මිනිස්සුන්ට ඇහුම්කන් දුන්න නිසා. 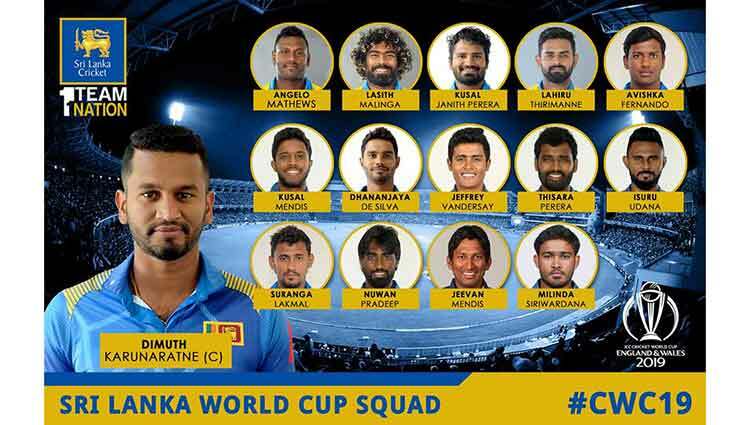 මහින්ද මිනිස්සුන්ට පිටින් යන්න ගියොත් මහින්දටත් කෙල වෙනවා. විමල්ටත් කෙල වෙනවා. පච රනවකට උන දේ ඕන ජගතෙකුට වෙනවා. 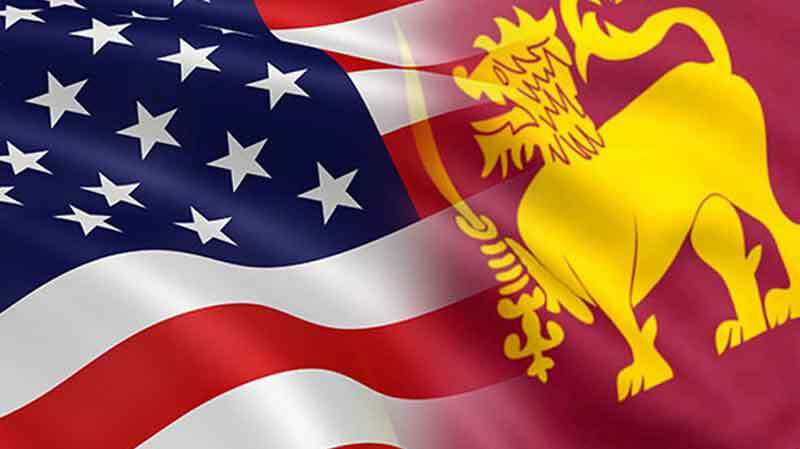 ඒක තමයි සාමාන්ප්‍රදායික චන්ද දායකයොන්ගෙයි ජාතිකවාදී චන්ද දායකයොන්ගෙයි වෙනස. ඇත්ත. මම මහින්දට චන්දෙ දුන්නෙ මට තේරෙන විදිහට හොඳම සහ ජනප්‍රියම ජතිකවාදියා මහින්ද යය් සිතන නිසය්. අපි කාගෙවත් වහල්ලු නෙවෙය්. 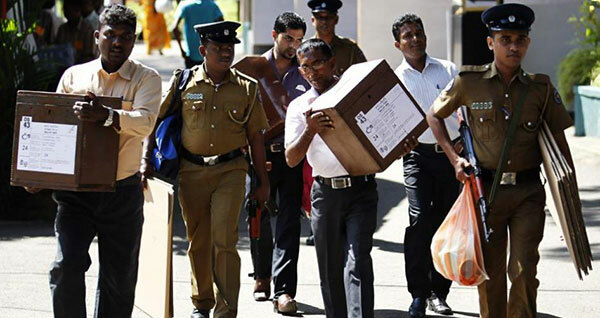 ECONOMYNEXT – Former navy chief, Wasantha Karannagoda, who is wanted in connection with the abduction and killing of 11 young men has for the first time involved former defence secretary Gotabhaya Rajapaksa in the case, court records showed. 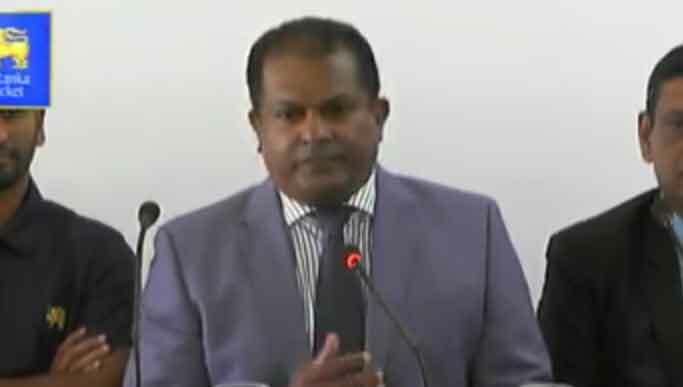 Filing a petition in the Supreme Court seeking the prevention of his imminent arrest by the Criminal Investigations Department, Karannagoda has said that Rajapaksa was also aware of the case. 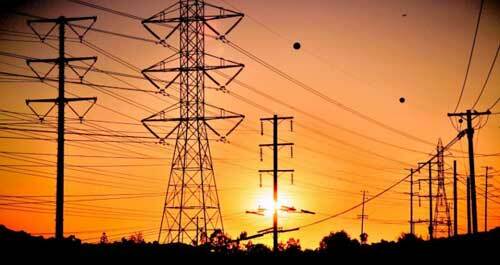 අනිවාර්යෙන්ම ගෝඨාභය මහතාට අපේක්ශකත්වය ලැබිය යුතුයි..ව්‍යවස්තාවෙන් මහින්ද ට ඉල්ලන්න බැහෑ..අද මේ අයාලේ ගිය රටට අවශ්‍ය වන්නේ ගෝඨාභය වගේ කෙලින් වැඩකරන,යුක්තිසහගත නායකත්වයක්..මේ රටට අවශ්‍ය නායකයෙක්..ජාතික නායකයෙක්..පාලකයෙක් නොවේ..
මේ රටට සැබැවින්ම ආදරය කරන සැමගේ එකම අපේක්ෂකයා ගෝඪාභය රාජපක්ෂ මහතායි. 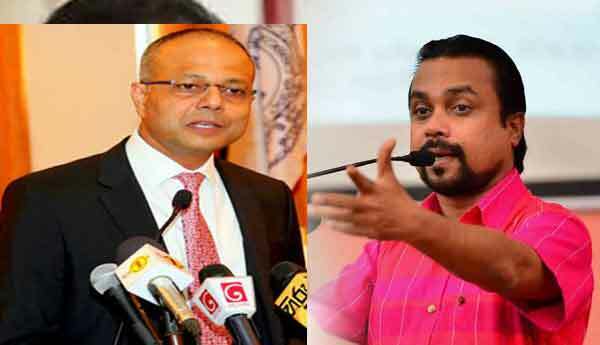 එතුමාගේ ජයග්‍රහණ තහවුරු කිරීම සියලු දෙනාගේ යුතුකමයි. You are right Mr. 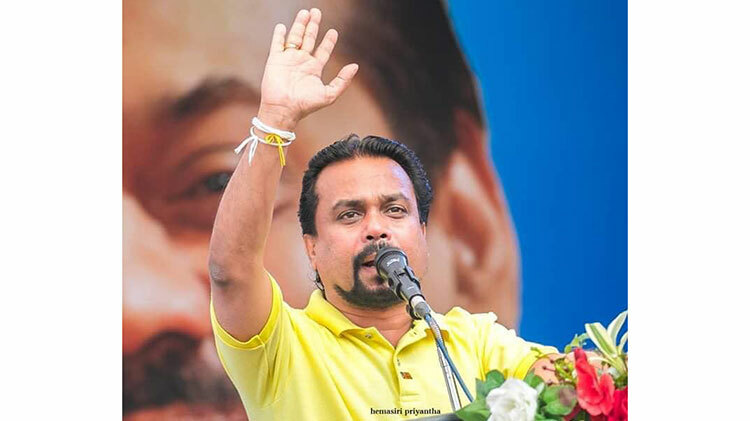 Weerawansa.!! The former President, The Present P.M., and the Present President are not in a position to become the President again.!!! Also we don’t want the same people become the President in this country!! The whole country wants Mr. Ghotabhaya Rajapaksa as the next President.!! Most of the country wants him.!!! If there is a coup inside the POHOTTUWA, the people will loose the faith in the party.!!! POHOTTUWA and its leaders must know that they should canvass for the most popular candidate, and never to raise the hand to approve to abolish the Presidentship.!! I agree with Dayani. There’s only a few who oppose Gota, Vasu and his clan. Wimal, I respect you. Joining hands with traitors like Maithreepala and trying to Get rid of Gota is not appreciated by many. Even if we might not win it is good to stand on a solid ground rather than doing any low life thing to establish power. we need GOTA.. nobody else….. If mahinda is arranging talks with jvp to abolish executive presidency then we do not need any puppet president to waste our money on this.We should then abolish 13 amendment and provincial councils to go back to the era before 1978.We can then have a priminister and old electoral system etc to save our money,.then having a priminister with all these powers would be ok. Anyway it is a shame for mahinda to go towards jvp for this purpose definitely he is going to fall into JVP trap designed by sumanthiran.That will be the end of all of pohottuwa and we will not and should not go to polls then. එකෙන්ම !, අපිට ඕනෑ රටක් , යහපත් රටක් ! !, ඒ සඳහා විමල් කියනවා වගේ සැලසුම් සහගතව හරි නායකයෙක් එක්ක ඉදිරියට යා යුතුයි . What 99 percent of SLPP voters need is GOTA with executive presidency. That’s the simple truth. People reject sefish leaders. We have to protect our country from diaspora challenges in future. If not, we all will perish. Well said, I too agree with you! Mahinda, you should not try to help coup makers and help abolish executive presidency. Please do not betray the country. Millions of party members are looking at your decisions. උගත් බුද්ධිමත් රටට හිතවත් සියලු දෙනාට ඕන කරන්නේ මේ කුණු වූ හැත්ත අයින් කර ගෝඨාභය වගේ කෙනෙක් සමග රට දියුණු කරන්න. මේකට විරුද්ධ වෙන්නේ හොරු හා බඩ වඩා ගන්න බලන් ඉන්න අය. වෙන කෙනෙක් අතෙන් ආවත් පොහොට්ටුවෙන් ආවත් චන්ද නැහැ. Unfortunately we don’t have a leader like Imran Khan. its so disgusting to see our shameless politicians screaming in the meetings. මහින්ද තමන්ගෙ බල තන්හාව යටපත් කර ගෙන ගෝටා ට කපන්න නොගොස් අමාරැවෙන් ලබා ගත් ජනප්‍රිය භාවය ආරක්ෂා කර ගත යුතුය්. නැත්නම් පුතන්ඩ්යගෙ අනාගතයටත් කෙලවලා තමනුත් කුනු කූඩයට යනවා නියතය්. If JVP talks move forward they will in any case will make sure Wimal is sidelined. So better for him to go before being thrown out. api danata eka amathaka karala YAhapalana goyyanta moda choon ekak denna arimu. Aru Welgameya loku talk denawa, u anunge minissu nathi gaanunge gewal wala ringala kay dena eka sudana wenna hadanawa. Gotabaya mathiduni oba Thuma Pohottuven aavath polkolayen aavath apita one Obavai. Oba me Ratata boho deval Kerala thiyenava. Me rate inna unta jeevath Veeme nidahasa labadeema vitharak athi obey jayagrahanayata. Obata devi pihitai. ඇමෙරිකානු මිලේනියම් චැලේන්ජ් කෝපරේෂන් ගිවිසුම මැයි මාසයේදී.. අක්කර දොලොස් ලක්‍ෂයක් නොරටුන්ට.. චරිත රත්වත්තේ හරහා අගමැති රනිල් ගිවිසුමට අනුමැතිය දෙයි..
ඇමරිකානු කාර්යාලයක් අරලිගහ මන්දිරය ඇතුලේ.. විමල් ඔප්පු කර පෙන්වයි.. සාගලට ඉල්ලා අස්වෙන්න වෙයි..
ජනතා අභිලාෂය ‘ගෝඨාභය ජනපති’ වනු දැකීමයි.. ඊට පයින් ගසන්නන් ජාති ද්‍රෝහීන්..
අපේ රාජ්‍යය නොරටුන් විසින් අත්පත්කර ගැනීමේ මුවවිටකයි. ඒ ඉරණමට එරෙහිව සටන් වදිනවා නම් අපි සමගියේ ධජය ඔසවා තැබිය යුතුයි. 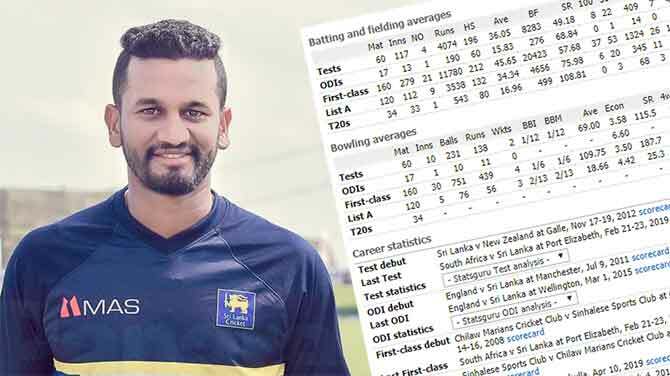 මහින්ද ජවිපෙ නායකයන්ට වශී බෝලය ගිල්ලවලා..- විමල් කියයි..
අයවැය පැරදෙයි කියා එජාපයම කියයි.. පැරදුනොත් මහ ඡන්දයක්..